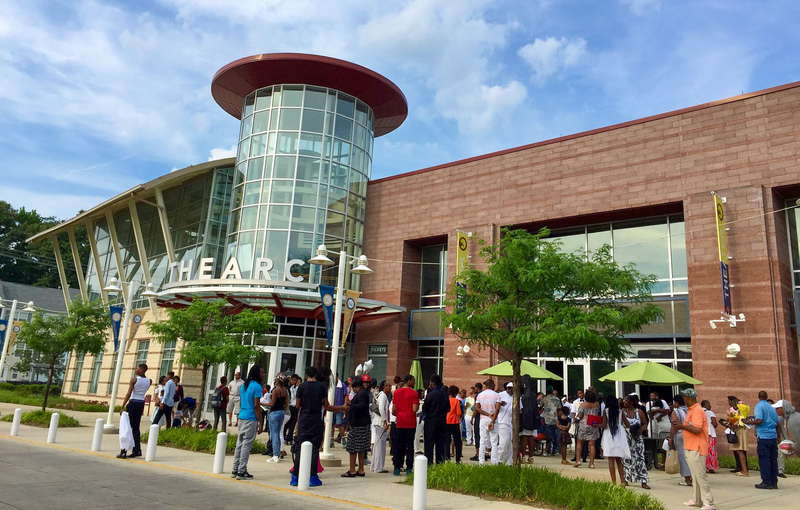 THEARC is a beautiful town hall, education, and arts campus located in Washington, DC’s Ward 8. 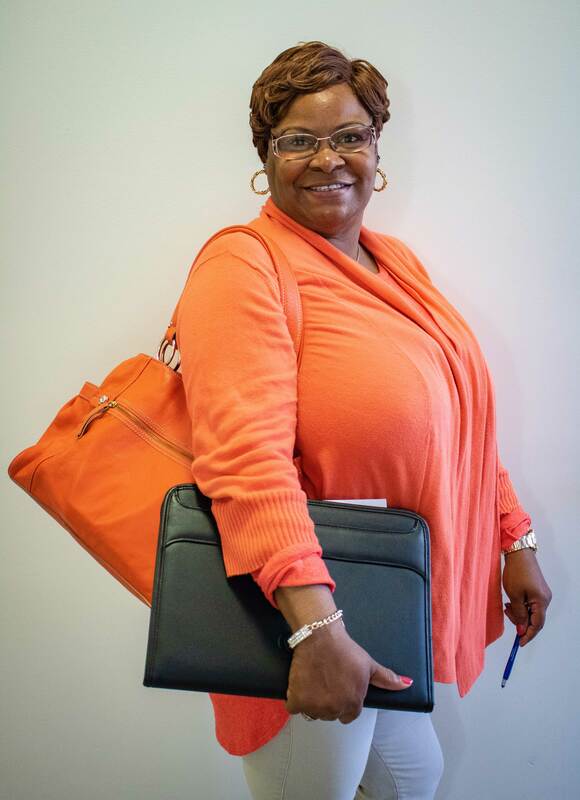 Dressed in professional attire, carrying polished, well-crafted resumes and brimming with optimism, three women participating in Step Up DC, Calvary Women’s Services’ job placement program, attended a job fair on July 12, 2018. 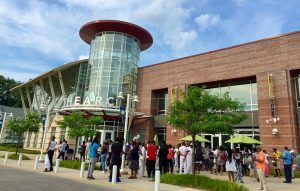 Sponsored by the DC Department of Human Services, the job fair was the second of its kind and took place at THEARC (Town Hall Education Arts Recreation Campus), an education and arts community center in Southeast Washington DC. A job fair participant ready to talk to recruiters! Guest speakers included Eric Ratchford, with the United States Department of Agriculture and Anthea Seymour of the Economic Security Administration. Calvary resident and Step Up DC participant Carol listened attentively to Dr. Carmen White, Ph.D, who encouraged those attending to believe that they have the strength and will power to overcome their adversities. Carol, who is eager to return to work in health care, met with a recruiter at the fair and secured a follow-up interview with the agency to explore appropriate opportunities for job placement.